Pope Francis made this statement on May 22, 2013, “Evangelizing is the Church’s mission. It is not the mission of only a few, but it is mine, yours and ours… We must all be evangelizers, especially with our life!” Thus, the role of adults in the evangelizing mission of the church is critical. As Catholics we are called to respond to this mission. However, to fulfill it, most of us need to renew and deepen our understanding or our faith. Through formation, we acquire the knowledge and the confidence to fulfill the Church’s mission. As someone that has been involved in catechist and adult faith formation for the last 25 years, the emphasis of Pope Francis on evangelization as the mission of all believers is music to my ears. 1) “ An invited seek conversion to Christ” this necessitates to include a spirituality that is based in the sacrament of baptism, nurturing and deepening an understanding of faith as a process that leads to gradual transformation through the imitation of Christ, openness to the guidance of the Holy Spirit and acceptance of the unconditional love of God for us. 2)” Lead people to be intentional in their faith as members in the Christian faith community,” small faith groups and the domestic church. Assist people in understanding their role in the mission of the Church as evangelizers and witnesses of Christ. 3) “Aid believers to become willing disciples,” accepting their calling in the mission of the church as Jesus show us in the Gospels. In most catechetical documents, the Bishops and church leaders hold similar position when addressing the importance of catechesis and adult faith formation today. The adult formation for adults must give priority to proclaiming the gift of salvation in the midst of the challenges of living the Christian life in a society highly influenced and driven by a modern culture of faith denial. This formation must also aim to equip parents and all adult Catholics to successfully pass on the faith to children and youth. Parents and Adults must be equipped to address honestly and informatively the life questions that children and particularly the youth raised about the faith. How many parents today are challenged by questions such as why do I have to go to Church? Why does God let bad things happen? Parents and adults need to be able to provide answers that are informed by the Church’s teachings. Adults need to explain their faith in ways that show their love for the Church and their faith. The reality is that the Christian faith is dealt more adequately in adulthood. Experience show us that to truly understand the faith requires not only our head, but also understanding with one’s heart. 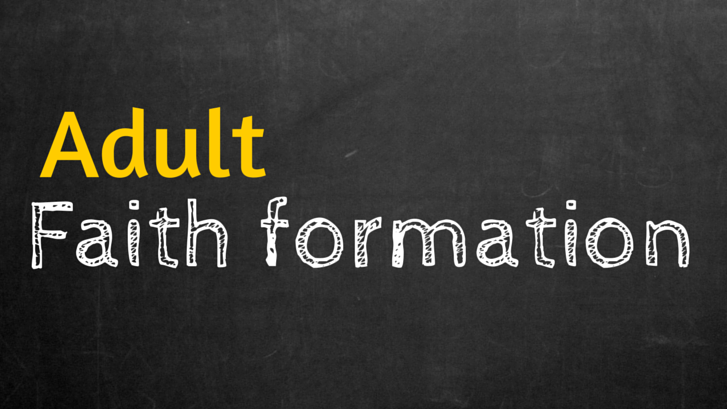 Some adults’ faith formation stopped in adolescence; as a result, many adults are inadequately formed, and they unable to deal with life issues and questions that most of us face in adulthood. Today, most adults face questions of meaning, of values, life and death issues, as well as dealing with problems of suffering and moral implications regarding our actions. Adult faith formation must prepare them to deal with these tasks. Furthermore, a comprehensive adult faith formation process provides the parishes with well prepared laity to take ministerial roles in the forever growing parishes. Formation is necessary for these ministers to be credible representatives of the Church, able to fulfill their ministry effectively for building the body of Christ. Formation programs nurtured and empowered the laity for ministry. The result of an effective adult faith formation process leads to the growth and the development of authentic parish communities. Parishes will grow to their full potential. Therefore the Church must engage adults energetically in seeking formation both for their personal enrichment and for the Church sake. Through the centuries our Church has adopted to changes and new circumstances. Let us acknowledge vision of Pope Francis as our New Pentecost, embracing our mission to continue proclaiming the Good News. 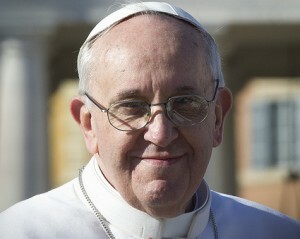 With Pope Francis our Church has entered an era of reformation and renewal. We are being led to respond to the challenges of the modern world and to faithfully fulfill our call to the mission of the Church. A well informed and formed laity can be a blessing and help the Church in the Era of the New Evangelization. 2015 © Paulina Espinosa. All Rights Reserved.